One of the biggest purchases any of us will make in our lifetime is a house. If you are anything like me, signing that dotted line is a little scary and you want to know how to pay off mortgage faster! Nothing like multiple tens of thousands of dollars you owe to someone else to make you want to hustle. When we purchased our house I was excited and hyperventilating at the same time! 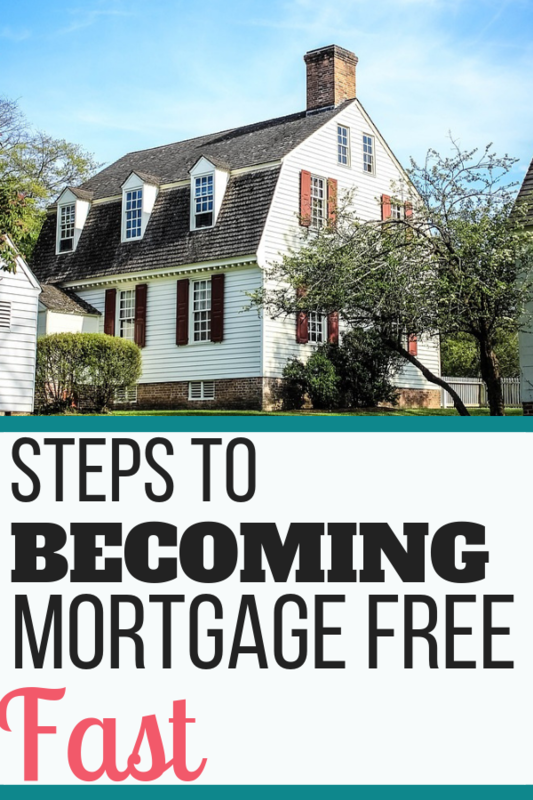 To go from debt free to having mortgage is a big change. We wanted to put an end to those payments asap! We closed on our house in December of 2009 and made the final payment in February of 2016. 6 years and 2 months. It was an emotional day when we made that last payment and again when the letter came in the mail from the mortgage company. Before we get into how to pay off mortgage faster, I want to tell you that I am not wealthy (by western world standards). We are a normal middle class family. My husband works in Christian radio (good health benefits, but not exactly the highest paying gig around) and I work part time for my church. If we can do it, you can too! Yes, it takes work and energy and sacrifice but it is possible! I also want to take a moment to say that there is NOTHING wrong with renting. We rented a small duplex over the first 3 years of our marriage. My sister and her husband rented an even smaller duplex the first 7 years of their marriage. Don’t think you need to buy a house. Don’t think that renting is throwing away money. Sometimes it is the best possible thing you can do. I’m sure you’ve been told that you can buy a house for the same that you can rent. Most of the time that scenario doesn’t take into account house insurance (much higher than renter’s insurance), property taxes, and all the expenses you are all of the sudden responsible for. Those expenses can often times be costly – as in thousands of dollars costly. Suddenly buying a house isn’t as cheap as you thought. I’m not trying to scare you from buying a house – we really do love it! I just don’t want you to regret renting and rush into buying a house too soon. Get a 15 year mortgage instead of a 30 year mortgage. 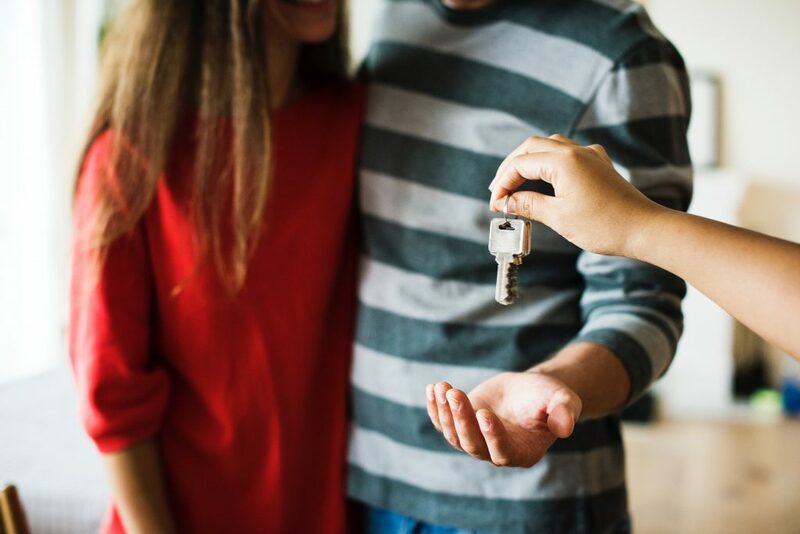 Sure, you might have to have a slightly less expensive home to keep the payments so that they aren’t burdensome, or save up a little longer so you can put down a larger down payment (and thus need a smaller loan), but the amount that you save on interest is worth it! In fact, its better to buy less house than you can afford. Don’t trust the number the bank says they will lend you. Look at your own budget. Don’t forget about the added bills and repair expenses that will be coming your way in addition to a house payment. Dave Ramsey says that your mortgage (including taxes and insurance) should be no more than 25% off your take home pay. If you buy more house than you can afford, life will be a lot more stressful. Make sure you have a realtor that listens to you! You want an individual who will show you houses in your price range and not just ones the bank says you are approved for but you aren’t comfortable making the payments on. Try asking your friends and colleagues what realtors they used and who they recommend. Always, always have an inspection done before you purchase your home. There’s nothing that will slow down paying off your mortgage faster than having one large unexpected expense come up after another. This isn’t to say that things wont go wrong if it didn’t show up on your inspection, but it should help you ward off at least some of them. The next tips will be how to pay off a mortgage faster after you are a home owner. After we bought our house, we put extra toward our principal each month when we made our payments. We didn’t have a set amount we’d put toward it, but it was whatever we could do depending on the circumstances and expenses of the month. Some months it might have only been $50-$100 and other months several hundred. Don’t think that an amount is too little, it will add up each year. Have a visual marker where you can see the amount taken off of your loan amount. When the amount is still large, you might want to do $2,000 or $5,000. As you get closer to paying it off, track by each thousand dollars. It is so exciting to see that number lower. It will encourage you and motivate you to keep going even when it’s hard. 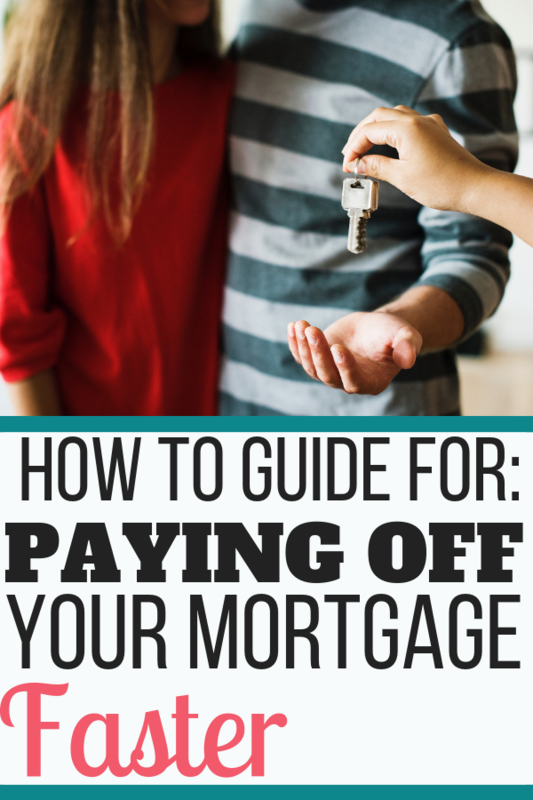 Paying off your mortgage (or any debt) sooner requires sacrifice. If you go into it expecting everything to be easy and all fun, you will be frustrated. Realize that you will have to say no to things: Big vacations, new cars, expensive clothes, steak dinners, outings with friends that cost money (come up with some frugal alternatives) etc. There is nothing wrong with any of those things, but for a time you are making a choice to say no! It can be easy to get into the “poor me” mindset. Don’t. It’s a choice you are making and you are excited about! Attitude really does help. Use the money you’ve saved to put toward your principal. Here are several ways to save money that we used while paying off our house (and most of them we still use)! Find some ways to earn a little extra money. Again, little amounts add up (just don’t squander it away – make sure it actually goes to the bank)! See if you can pick up extra hours at your job. Pick up a part time job. What hobbies and skills do you have that could be marketed on the side? Maybe you could babysit a friend’s kids after school, offer your baking talents for people that don’t have time to be in the kitchen, look on Fiverr and see if you can do something that’s marketable there, sell the crafts you make that everyone raves about on Etsy. How to make extra money is going to vary completely depending on each person. Think outside the box and try something! 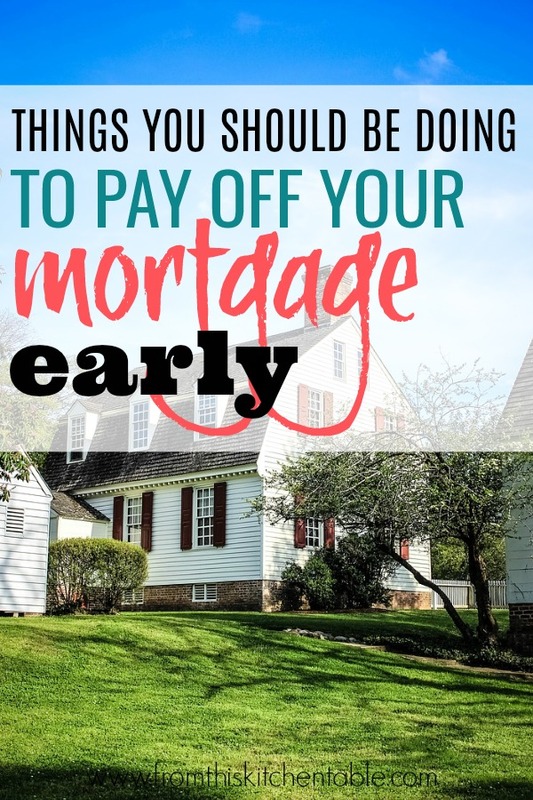 I hope these ideas helped you start thinking of how to pay off a mortgage faster. You can do it! As someone who has been though the process before, I’m here for you: encouraging you when it’s hard and cheering you on when you hit each milestone. Have you paid off your mortgage? 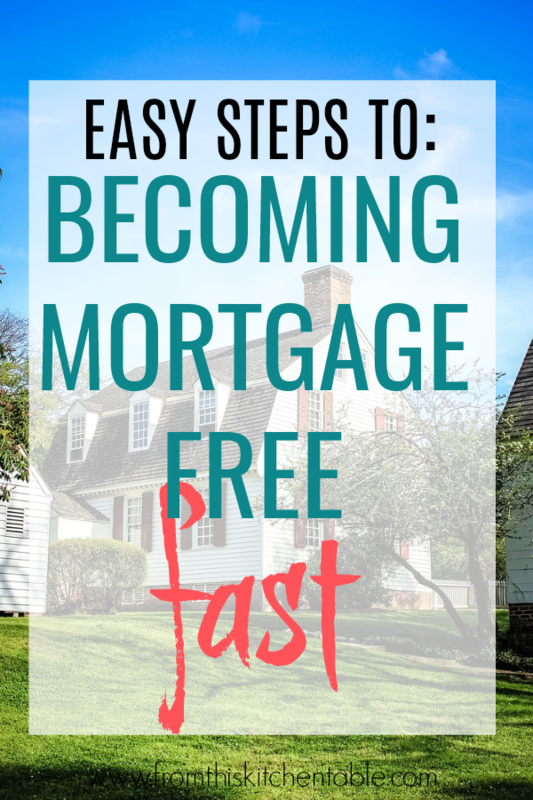 What would you say if someone asked you how to pay off their mortgage faster? If you start on the exciting journey, keep me posted! This entry was posted in Finance on October 9, 2018 by Deanna Michaels. Wow! 6 yrs is fabulous!! Uncle Dave is so proud!